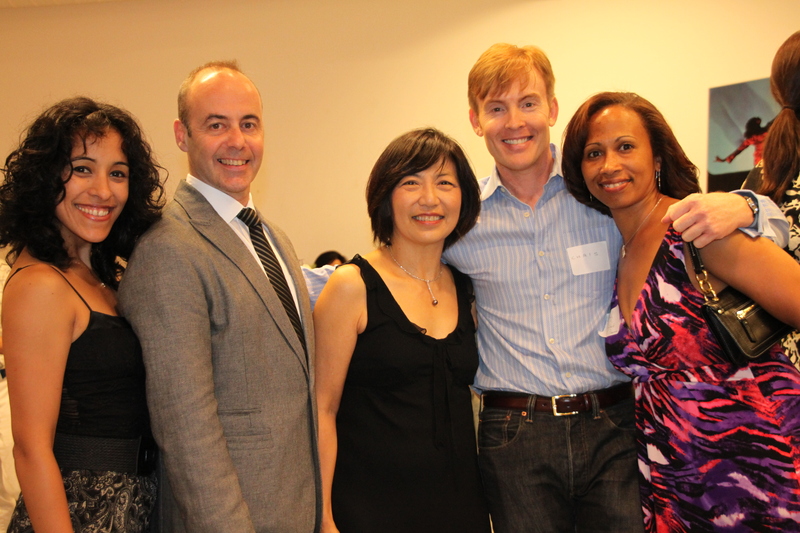 On Saturday, June 23, we celebrated a remarkable woman and educator as she retired from BAA: Fernadina Chan. 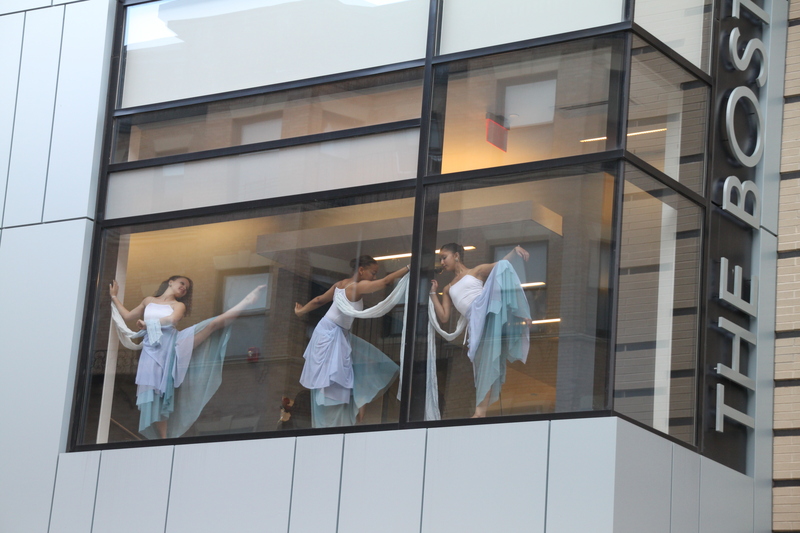 I have the privilege of working with some of the most amazing teachers at Boston Arts Academy, and it was an honor to celebrate Fern at The Boston Conservatory with both a reception and surprise dance performances and a video. Below is an excerpt from my remarks to Fern on that evening, as well as some photographs of the dance faculty and past and present dance students. It is hard to stand before you—Ms. Chan’s family, friends, colleagues and students—and talk about a friend from whom I have learned so much. There just aren’t enough words. I had to write a book and put Ms. Chan in chapter 3 in order to really do her justice—and even then the editors pared it way down. But with Ms. Chan there is no paring down. Fernadina, or Fern, to so many of us, is a force of nature. 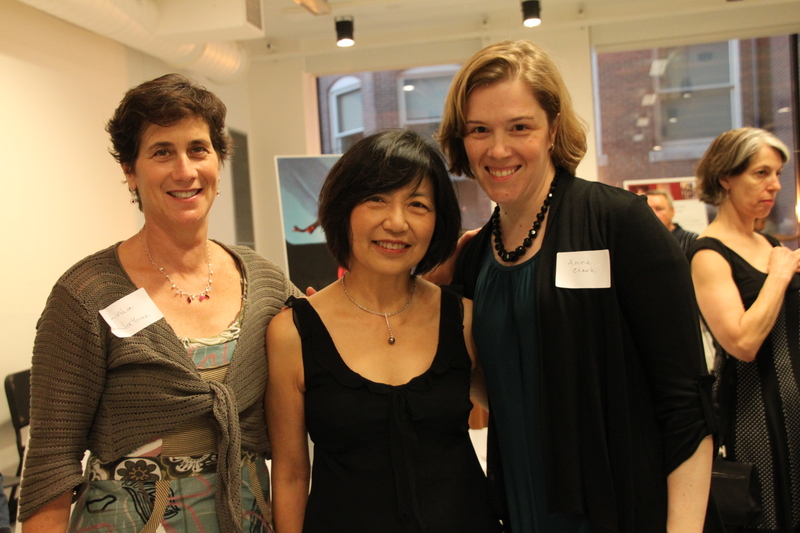 She is the founding teacher of the Boston Arts Academy. She fought for years to make this school a reality. She has succeeded. As our founding artistic dean, she has set the standards for excellence in the arts and in academics… As the founding chair and now co-chair of our dance department, she has helped create a dance program that is now known nationally and internationally. Her many “children,” as she affectionately calls her students, are off in the world continuing her legacy as dancers, both professionally on renowned stages and vocationally in studios around town and beyond. Even those who are no longer actively dancing all remember their time with Master Chan! More than anyone I know, Ms. Chan figures out how to help students connect to their core, to their heart, to their imaginations and to their emotions. How she does this is a secret I have wanted to learn because if we could just bottle her ability to bring her students to the truth they need to tell we would change the educational landscape in this country, if not the world. Her secret may be the way she screams and chastises kids until they get in line and do as she insists; her secret may be the way she giggles and then laughs with her students as they work through choreographic problems; her secret may be her determination to introduce the great dancers and choreographers of the world to her students and the school through residencies and master classes; her secret may be the fact that she assembled the most fantastic dance faculty ever; her secret may be in the way she produces a concert that uses technology in ways never thought of before; her secret may be her incredible dedication to her students and their transformation; or her secret may be in how she approaches her own creative work with students. I think it is all of that and then something more. Fern understands that teaching is fun! Sure, it is hard and enormously stressful, but each day is new and the transgressions of yesterday are not part of the studio or classroom today. Each day with Ms. Chan, class begins again- vibrant, inventive and fresh. Ms. Chan is a master teacher and we are all lucky to have been part of her journey. So thank you, Ms. Chan, for the legacy you leave us—as our Artistic Dean, our teacher, our colleague and friend… You will be part of BAA forever. We thank you for so many years of hard work and vision [and]… we look forward to your new creations. If only we had dance in more of our schools! Congratulations, Fernadina Chan. It is clear you have touched many, many lives with your love & passion for dance. As a dance educator, I am inspired by your story! It’s great to hear from you, Christina! Thank you for these kind words for Fern, who is truly a gifted educator and choreographer, and I’m glad that she inspires you as she does me! i’m sorry i had to miss the celebration for fern on the occasion of her “retirement.” as a former educator (BPS), there’s nothing more touching than seeing students honoring a teacher and showing their respect and love for a teacher. i’m sure there was a lot of that at your event. what a loss for the boston schools. could it be that one of fern’s students will someday in the future fill that slot??!! Sorry for missing your retirement Celebration. You deserve all the glory that your colleagues and friends put up for you in Boston. I wish I could have been there. I bet you will travel even more now. Please do stop by Nashville, you do have a friend there. I also miss you in Taipei, Taiwan! Sorry for missing your retirement Celebration. You deserve all the glory that your students, colleagues and friends gave you in Boston. I wish I could have been there.